Moleskine's Limited Edition Peanuts Notebooks are available in 2 sizes and 2 styles. Moleskine Peanuts, Limited-Edition notebooks are finally stock at www.journalingarts.com. 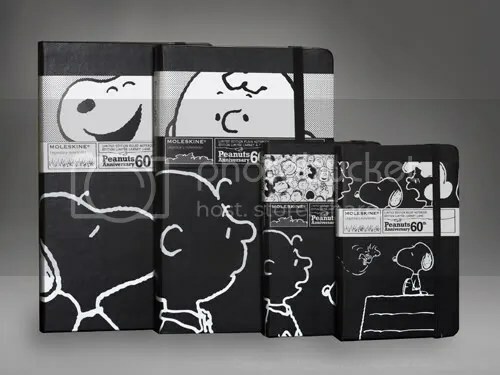 You can find them at this link: http://journalingarts.com/moleskine-peanuts. Remember to use the discount code HOLIDAY in the discount code box at checkout to save 10% off your entire order now through December 31, 2010.